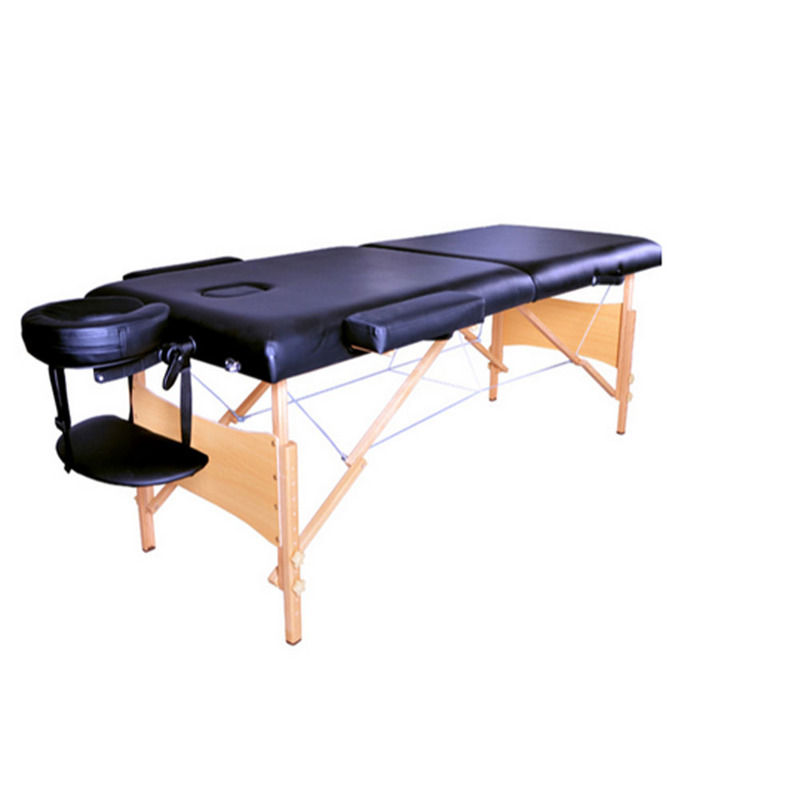 This is 2 Sections 84" Folding Portable SPA Bodybuilding Massage Table. You may commonly see it in the beauty salon. 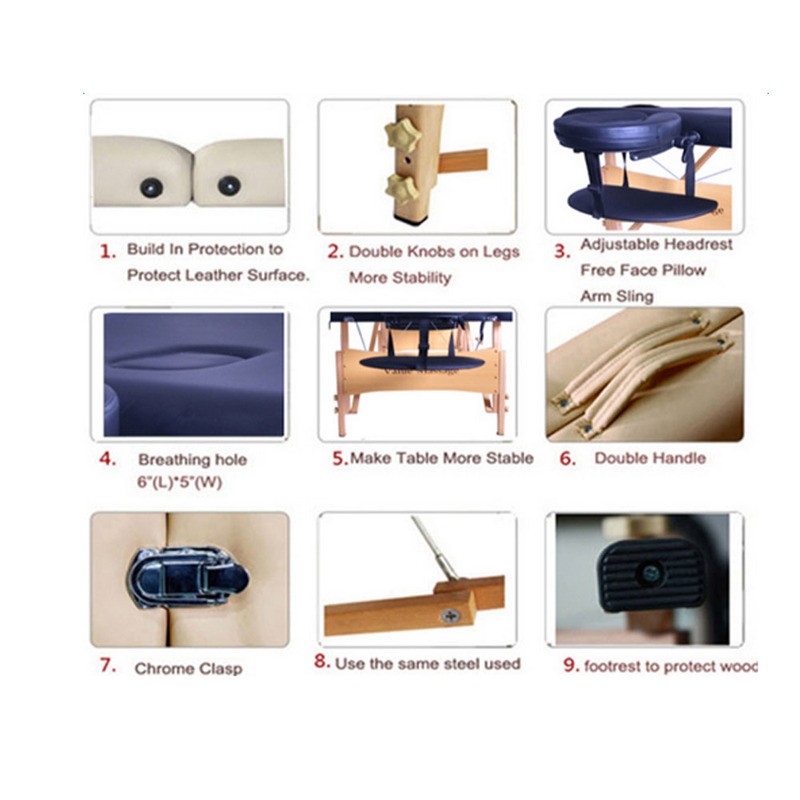 As an indispensable part of beauty salon, it has been strictly tested during manufacture. 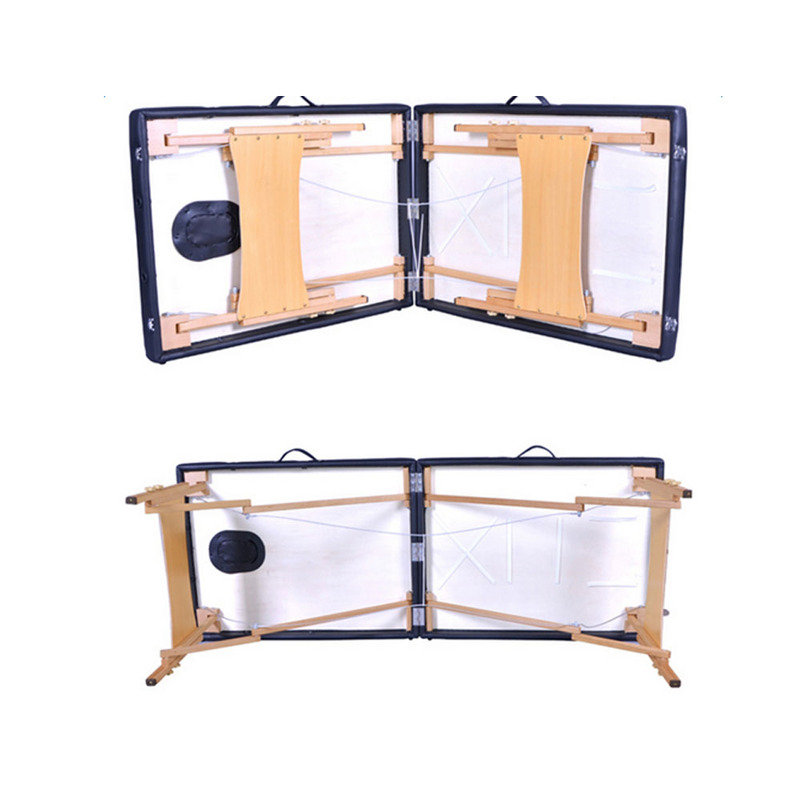 Particularly designed into 2-section folding style, it is easy to fold and unfold for convenience. Also, the folded one won't take up too much space. It is in high strength and good hardness with the adopted wooden frame. 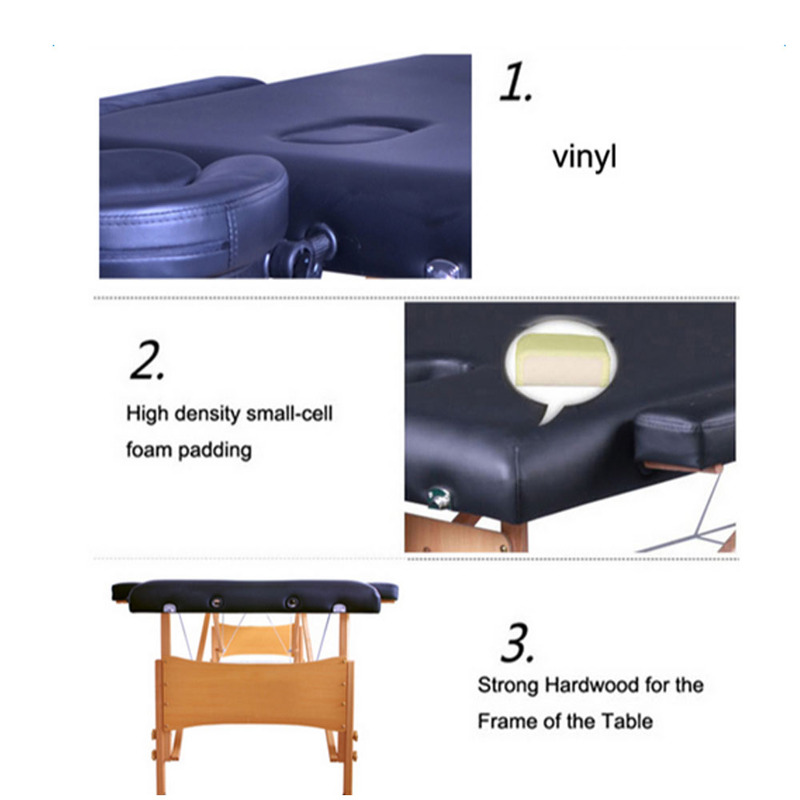 Besides, premium PVC leather and sponge stuff also ensure its great softness and comfort. 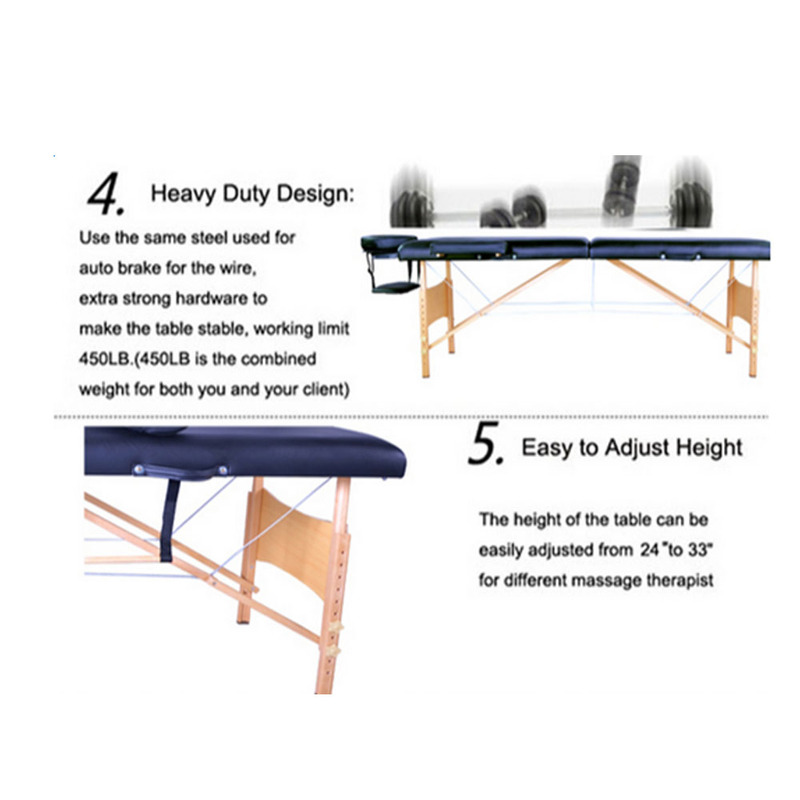 You will not feel any pain or hurt while laying on this massage table. Portable and convenient! Come and try!